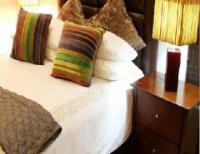 Pari Guest House is situated in Middelburg in the heart of Mpumalanga. This guest house has six rooms, each room is equipped with a flat-screen TV, DStv, free Wi-Fi Internet access, a bar fridge, a microwave and tea and coffee facilities. There is also the 24-hour front desk, breakfast, lunch, dinner, high tea, a restaurant, and conference facilities. Middleburg offers a few attractions such as Kruger National Park, Mozambique, golf clubs, and historical buildings. Breakfast served from 06h30 to 09h30. Dinner served from 18h00 to 20h00. 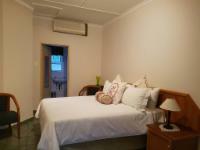 Pari Guest House is 1.4km from the centre of Middelburg - Mpumalanga , the nearest airport 136.7km (Waterkloof AFB Airport).